People from all points in Mississippi and the surrounding areas made their way to Jackson after the Civil War for many different reasons. For most, including ex-slaves, opportunities existed around the state’s capital. 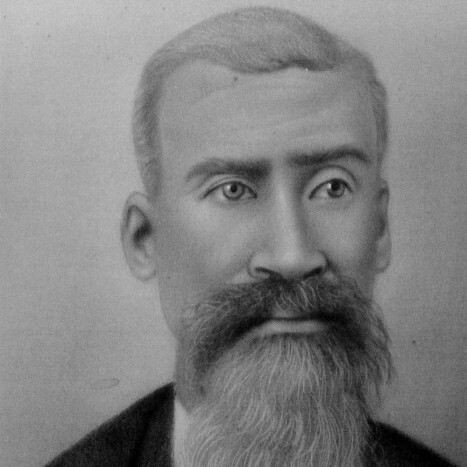 Before there was Fondren, there was Isham Cade, an ex-slave from Carroll County. Cade was one of the first to make it to the land north of Jackson. Because the land was too sandy and full of clay to farm, property was cheap. Cade bought land on a hill near the Pearl River with the intention of subdividing it and selling it to other ex-slaves moving into the area. On maps, the area was called Isham Cade Survey. A number of those followed from Carroll and Grenada counties with common slave experiences and established their homes in this area called “Asylum Hill,” near the state’s mental institution. Most of the blacks who moved to Jackson and professed the Baptist faith attended Mount Helm Baptist Church. With round trip distances of four to five miles to reach Mount Helm by foot, the community of Asylum Hill decided in 1879 to form their own church closer to their homes. Land was donated by Isham Cade to create a gathering space for the church community. A brush arbor, constructed of posts with a roof of brushes, was used until a formal structure could be built. Because of his donation and in his honor, the church was named Cade Chapel Missionary Baptist Church. In 1903, a building was erected on the site of the current Fondren Presbyterian Church and Cade Chapel became a gathering spot for the community. By 1929, the congregation had grown too large for the building and moved to West Jackson on Ridgeway Street across from where it is located today. Because of Cade’s forethought and generosity, his legacy continues throughout Fondren and the greater Jackson area. Yet another fascinating, counter-intuitive story in Mississippi’s history. A black man, a newly freed slave no less, makes good as a combination developer and philanthropist, and leaves a lasting legacy for both black & white Mississippians. These are the things the rest of the country simply doesn’t want know about the state. But we know, don’t we?